Located in Ayer's Cliff on a beautiful 19-acre site on the shores of Lake Massawippi in Quebec’s picturesque Eastern Townships. Our camp’s mission is to provide a safe environment favoring the stimulation, development and social integration of each camper. 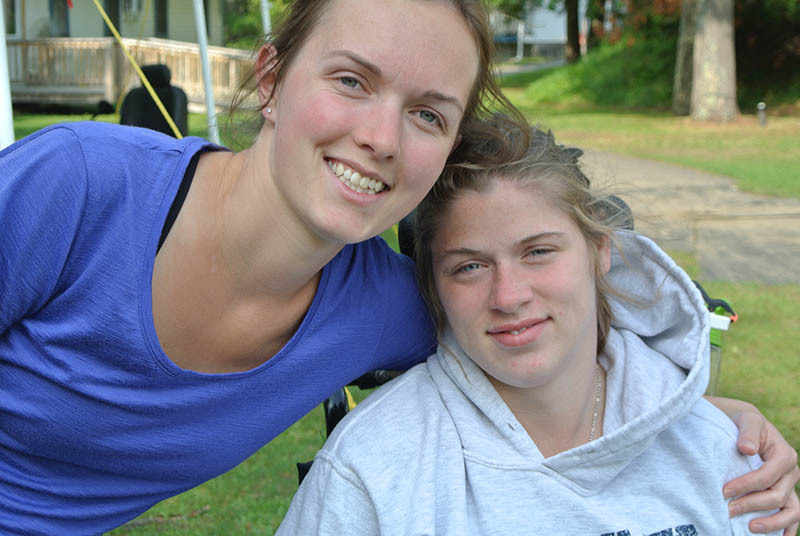 We take pride in our exceptional team of staff, chosen for their warmth, sensitivity and ability to care for each camper. We have a staff to camper ratio of 1:2. Campers are housed in dormitory style cabins that can accommodate up to 9 people. Counsellors stay in an adjoining room to see to the welfare and safety of our campers at all times. All cabins are accessible, spacious and comfortable, and are equipped with access ramps for wheelchairs. All are comfortably appointed with washrooms and sinks; some include a shower stall. A modern shower room, designed to cater to the specific needs of campers, is located in a separate building on site. Camp staff is able to provide assistance, if required, in complete privacy. A wide range of activities encourage campers to develop independence, self-esteem and to pursue new interests. Our Summer Camp program offers a wide range of nautical activities (canoeing, kayaking, sailing, rabaska and pontoon boat rides), as well as aquatic, sports, artistic and cultural activities. A registered Nurse and her team are on site 24 hours a day to administer medication and support campers who require particular care. We provide healthy and balanced dietician-approved menus. Special attention is paid to food allergies and dietary restrictions. Registration fees (non-refundable) are payable at time of registration. Session Fees are payable 30 days before the start of the selected session(s). Low income families may be eligible to receive financial assistance via the Programme d’assistance financière à l’accessibilité aux camps de vacances (PAFACV), provided by the Ministère de l’Éducation et de l’Enseignement supérieur. A financial participation will be required according to your family income. To benefit from the rebate you must send us a copy of your latest Notice of Assessment issued by Revenu Québec. Adapted bus transportation is available between Montreal and the Camp at a cost of $75 (round trip). Departure and return are from the MAB-Mackay Rehabilitation Centre, Mackay site, 3500 Decarie Boulevard, Montreal. Parents may also choose to drive their child to camp. 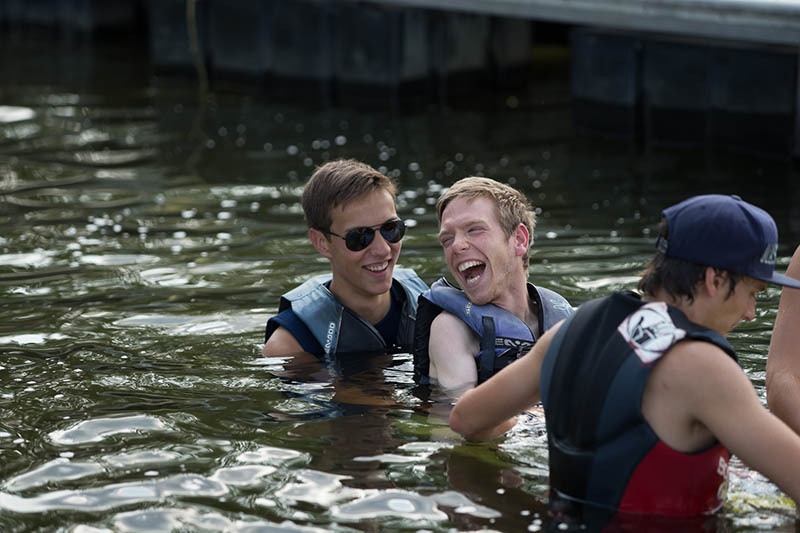 Adapted water skiing is offered to all campers twice a week as part of our regular programming. However, for campers who LOVE adapted water skiing, the WATER SKI PLUS option is for you! By choosing this option, you get to do EXTRA water skiing! This option is offered during sessions 2, 2A, 2B, & 3. Additional charges apply for this option. See registration form for details. Everyone can dance! Whether you are a beginner or an expert, the 1-week urban dance intensive workshop with Luca “Lazylegz” Patuelli and his team, will allow you to learn new skills and develop your creativity while having fun. During that week, you will have the chance to dance every day in a friendly, safe and adapted environment. Throughout the program, teachers and campers will work together to create a choreography for a final show during Visitor’s Day! This option is only available during Session 3! A brand new option for campers who love action! If you want to develop new physical skills, try new sports, learn team spirit, develop self-confidence, increase autonomy, surpass yourself and have fun ... Register now for the SKI & SPORTS PLUS option! Water skiing, paddle boarding, cross fit, basketball, archery, hockey, nutrition workshop, sports conference, and much more! This option is only available during Session 4.